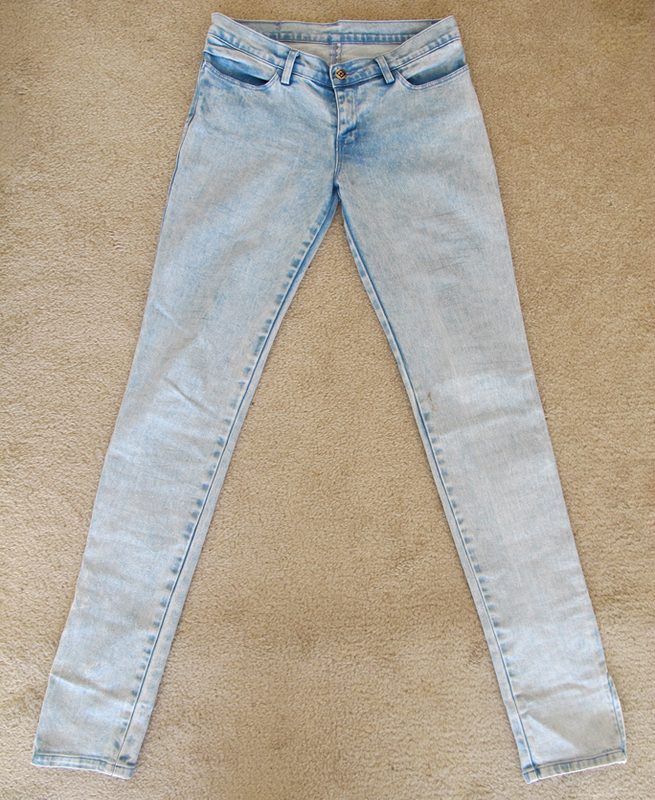 Slit jeans on back pockets and down the front by cutting straight horizontal lines at 'random'. I drew lines with a pencil to roughly guide the slits, don't make them too uniform or they will look weird. Cluster the slits in sections about the thighs and upper shin area of the jeans making incisions no wider than 1cm, this makes it easier to pull the threads out. After you've made the slits, start to pull away the blue vertical threads with your fingers (or tweezers if this is easier). I find it's quicker if you wriggle the white threads away from the blue as much as possible before trying to pull them out. If you want, go back over any patches that look bare, but make sure you don't make holes too far up the thighs or you may end up showing off more than you want to. You can make them as shredded as you like, I went pretty far here, but you can go more extreme depending on how you like them. Just be careful if you're going to put them in the wash because they may end up disintegrating completely, hand washing is probably the best option for keeping the finish. Note: This method is pretty time consuming (I spent a couple of hours on these!) so if you're feeling lazy, just throw the jeans into the washing machine to get the threads out. It works almost as well, although you don't have as much control over the result this way. 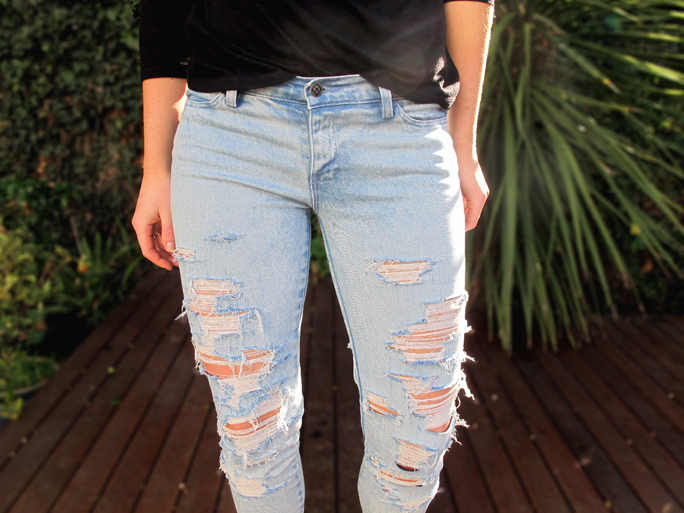 It's been a long time since I've put up a proper DIY, so when I stumbled upon this pair of almost perfect Ksubi jeans at Savers ($10!!) 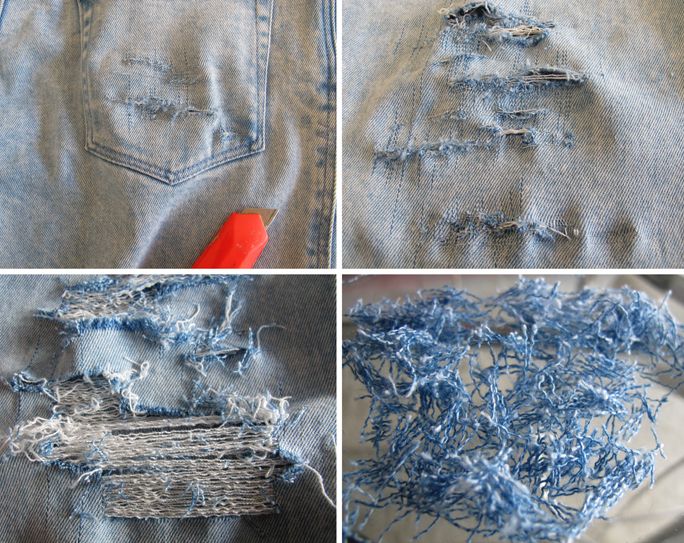 I knew they would make the perfect easy DIY shredded jeans. I also cropped these jeans because, apart from the fact that they were a little bit too long for me full-length, I think they look much better shorter and when the weather warms up I reckon they'll become a wardrobe staple with jelly sandals and a basic tee. These turned out so hot!